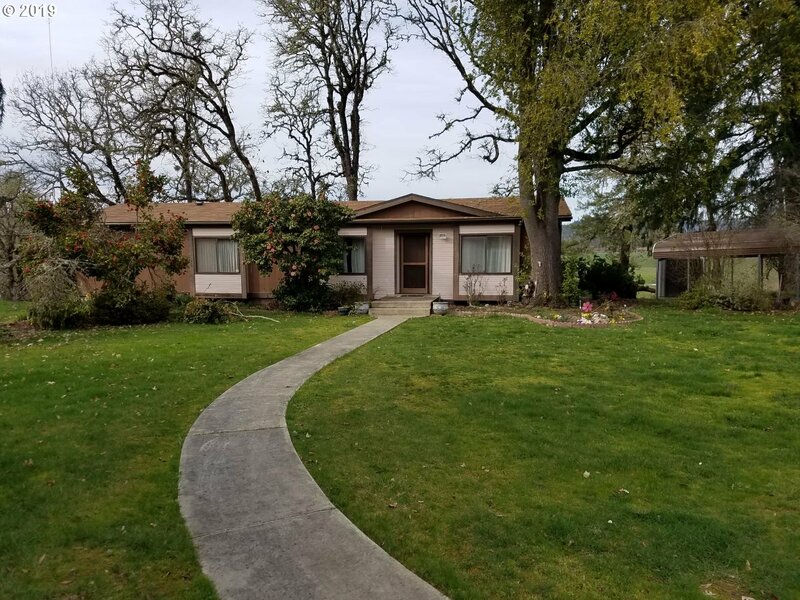 All Roseburg homes currently listed for sale in Roseburg as of 04/19/2019 are shown below. You can change the search criteria at any time by pressing the 'Change Search' button below. If you have any questions or you would like more information about any Roseburg homes for sale or other Roseburg real estate, please contact us and one of our knowledgeable Roseburg REALTORS® would be pleased to assist you. "You must see this amazing property to believe it. Views of Valley and Mountains, swim in your own lake, or rent out the facility for for events. Winery,2 large barns converted to event center. 2/1 guest room or B&B. Tasting room, vineyard. Private 1/1 cabin, and Three Lakes. see web site belowhttps://celebrationranch.org/"
"Cooper Ridge Vineyard now offered for sale! Situated on a hillside contemporary style tasting room features panoramic views of the valley & surrounded w/ 2 acres of established Pinot Noir grapes. Recently completed wine production facility produces award winning wines on state of the art processing equipment, + there's a 2 bdrm guest house available for overnight stays. A picturesque setting in Umpqua Valley's wine country." "A riverfront Oasis! This private gated estate is situated along 500 plus feet of beautiful North Umpqua River in the heart of the Umpqua Valley s wine country. Enjoy an open floor plan with soaring ceilings, multiple living and dining spaces that are perfect for entertaining guests or cozying up by the fireplace to enjoy the river views and natural beauty that surrounds it." "142 ac w/ 76 ac planted in Pinot Noir developed to the highest quality w/ steel end posts, drip irrigation, wind machines for frost protection, equip shop, historic barn, and other auxiliary bldgs, plus 3 bed 2 bath home which has been tastefully remodeled in an ideal location for caretaker. Perfect for buyers looking for vineyard lifestyle. Ready for addition of tasting room, winery, wedding venue & estate quality home w/ vineyard view"
"Beautiful custom home with valley views on 160 acres. Open floor plan concept with high ceilings and expansive wall of windows to enjoy views. Rock fireplace and Australian Cypress wood floors. Large master suite with fireplace and private deck. Outdoor kitchen, geothermal heating and cooling. 80x60 shop, 48x48 shop, 2 covered containers, gravel pit, ponds, spring with full house filter, RV hookups, pastures fenced and cross fenced." "Garden Valley Estate! Satisfy your taste for the good life! Exquisite craftsmanship and the finest of finishes will impress the most-discriminating buyer. Enjoy peaceful views overlooking adjacent vineyard to the Callahan range. High ceilings! Gourmet kitchen! Spacious master suite. Private & useable acreage suitable for horses or vineyard with in ground irrigation in place. Two outbuildings suitable for storage, winery, & more." 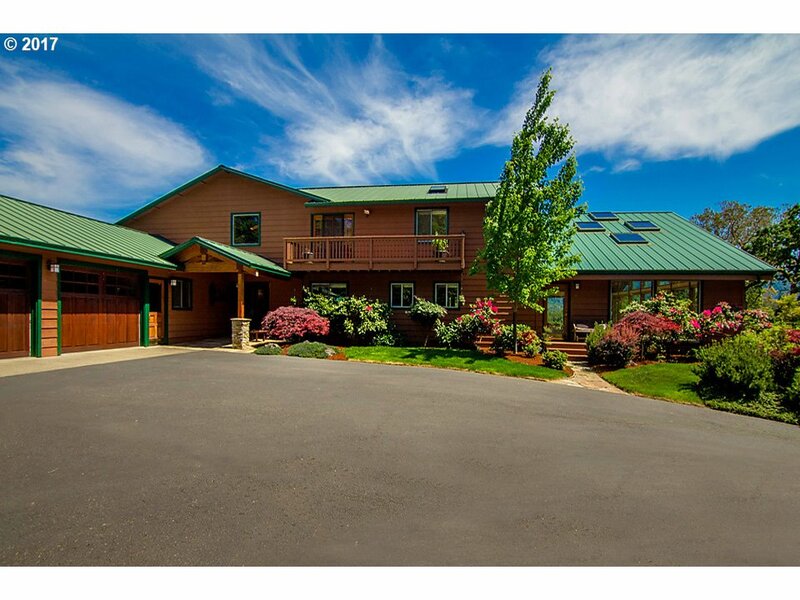 "Welcome to Golden Eagle Villa, a one of a kind estate with views over the Umpqua Valley! Open the door to elegance in this superbly crafted Mediterranean beauty. Resting on more than 10 acres of manicured grounds & multiple water features, this home radiates grandeur and pristine quality. Expert craftsmanship throughout. Custom millwork with granite, marble, travertine and alabaster finishes. Additional acreage available for purchase." "Beautiful Craftsman Lodge Style Estate nestled in your own private forested retreat on 160 acres! This custom home has so much to offer from the vaulted open ceiling & floor to ceiling fireplace in the great room to the gourmet kitchen for the most discerning chef w/oversized prep island & butler pantry. Master bedroom w/balcony+en suite. Spacious bedrooms. Guest quarters! Manicured grounds with gated entrance! Pond and trails!" "100+ acre Working Cattle Ranch with @5900 s.f. newer home. Stunning views. Privacy galore. 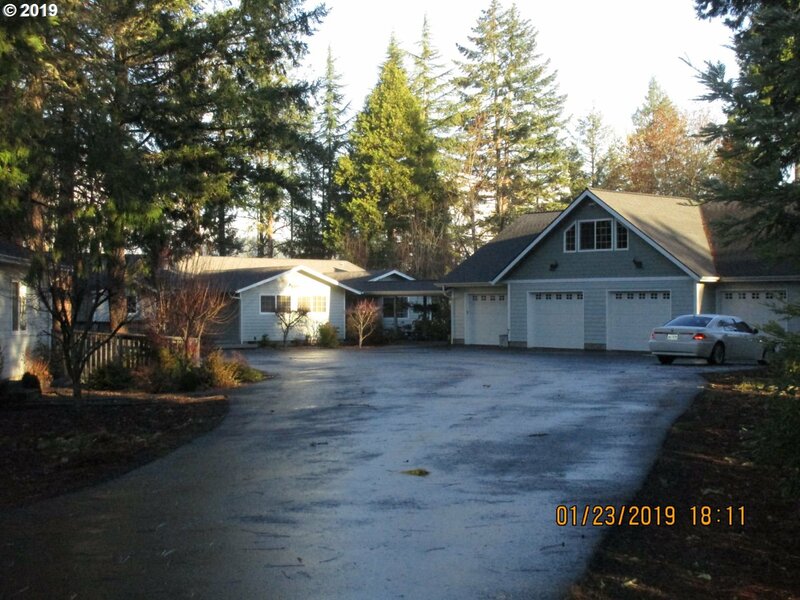 Home boasts granite, hickory flooring, cherry cabinets, home theatre, safe room, 2 floor to ceiling fireplaces, expansive Brazilian wood decking, fruit trees, 3 car garage, 2 year round springs + great well. Even a 900 ft. Zip line. Subject to finalization of lot line adjustment. Subject to finalization of Lot Line Adjustment. 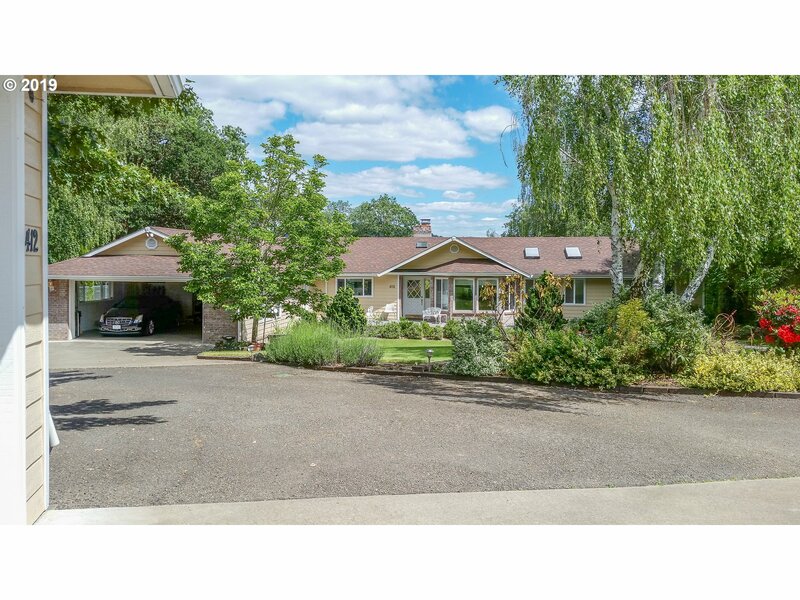 Must see"
"Prime Umpqua Valley location! Spacious custom home on 15-acres with South Umpqua River frontage! High production property complete with 9 acres of established vineyard & commercial winery facility with tasting room, event center, crush pad and barrel room. Room for additional vines or other crop. Entertainer's delight! Gourmet kitchen w/ large dining room, two patios, & a wet bar. Enjoy summer evenings under the covered patio!" "This stunning riverfront estate is meticulously maintained. Some fine custom appointments are: grand entry, French doors, brick, leaded glass, custom tile work by David Hu, amazing master suite w/river views & the list goes on. Enjoy the huge finished insulated shop w/RV parking, your own sandy beach & great fishing spot in ever desirable Garden Valley!!!" "COMPLETELY OVER THE TOP CUSTOM!! One of a kind property ready for your business! Fantastic live/work opportunity in a great location. Remodeled home w/granite, tile & walk-in showers, vaulted ceilings & granite kitchen + home theater! 2 Finished shops, one w/gym area, office & full bath plus loft. AWARD WINNING tiki hut style in-ground pool & waterfall w/grotto & swim up bar you have to see to believe! Zoned MU for many options!" "PRICE REDUCTION on this Enchanted Equine Paradise. Creek meanders thru private 26+ parklike acres w/pond in upscale Melrose. Light filled custom 3/3+ home perfect for entertaining w/media rm. Fully fenced & cross-fenced rotational grazing. Barn has 4+ stalls, 2 hot/cold wash racks, tack & grain rms w/sink. Outdoor arena, equip/hay barn, shelters, shop & quaint covered bridge over creek." "Beautiful home located on the main Umpqua River with water rights & spectacular views! Large entry hall, 2 master suites, formal dining room, open floor plan, granite in kitchen, built-in gun safe, pellet stove, 2 wells, 15'x30' in-ground pool complete with pool house, 4th BA, and fireplace. Covered patio, gazebo down by the river with power. Shop is 72'x32'x14 with lift to upper floor." "No expense spared on this lovely custom contemporary riverfront home, built by Rob Lieberman! Features incld: gourmet kitchen, luxurious master suite w/dry sauna, 3 fireplaces, slate & beach wood flrs, French doors, built-ins, huge covered deck w/columns for river views & entertaining, large game room w/wet bar, bonus room w/private entrance that could be guest qtrs or could easily be two-family set up." "Custom craftsman Melrose home offers 7048 SF, 5 en suite bds, 5.1 baths, exec. office & guest apt. Chef's kitchen open to family room w/island, double ovens, butler's pantry & granite counters. Spacious mstr suite features fabulous master bath w/stone shower surround, jetted tub & double vanities. Outdoor living space includes gorgeous views, covered lanai w/frplc, hot tub & outdoor shower. Well irrigation, fruit trees & cov RV storage." "Fabulous main Umpqua Riverfront home, panoramic views of the river, above the flood plain, 5 bay oversize shop with guest quarters above + 1 1/2 baths plus guest house plus R.V. garage. UBW + well + river irrigation, plenty of water. Fenced + gated. This home + grounds are spectacular." "Elegant gated entry leads to nearly 30 park-like acres w/vinyl fencing. Mix of manicured forested trails w/merchantable timber and pasture. Lovely home sits on gentle knoll viewing grounds and equestrian barn w/two indoor riding arenas, hay & equip storage. Spring fed ponds w/water rights, outbuildings, log cabin, shop, RV hkup & septic apprvd for hardship. 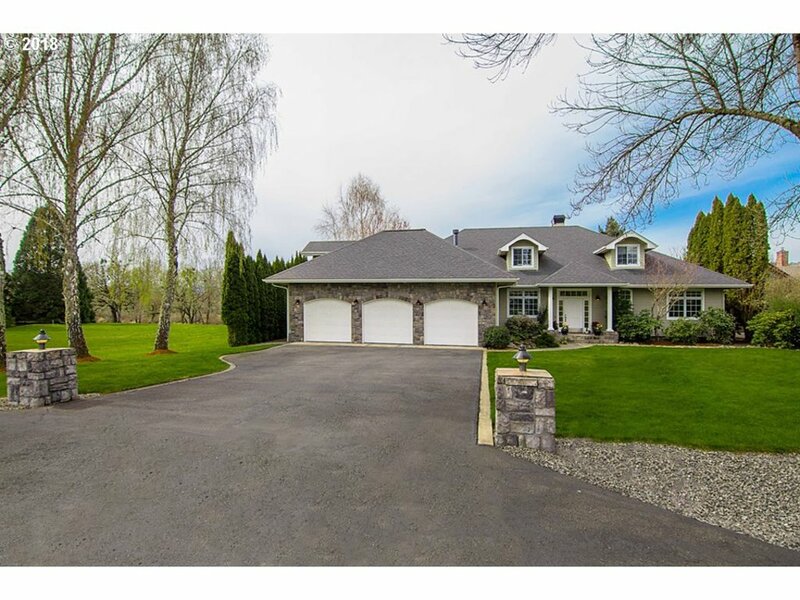 (https://www.landleader.com/land-for-sale/3508-doerner-cutoff-rd-roseburg)"
"A special house in Roseburg's premier neighborhood, Rio Tegi. Too much to list! Home features custom attributes throughout: cathedral ceilings, covered outdoor kitchen, oversized garage, gourmet kitchen, local-sourced madrone floors and more! Gated neighborhood with community RV parking, river park, and river irrigation." 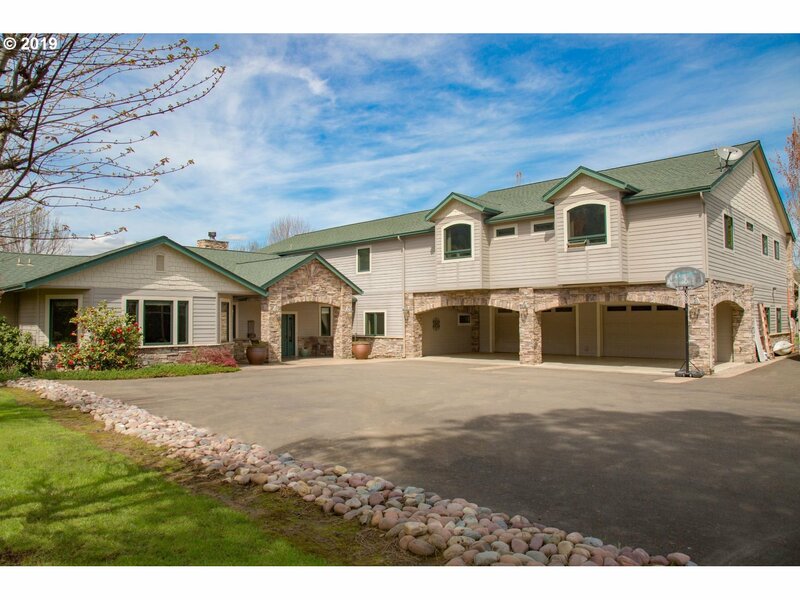 "Beautiful home on the 8th fairway at Roseburg County Club in desirable Garden Valley. Lush manicured grounds. High ceilings and oversized windows to enjoy the views. Gourmet kitchen w/eating bar open to the living area. Expansive patio for outdoor entertaining & relaxing. Master suite with spacious bathroom with soaking tub, walk-in closet and balcony. Roomy 3 car garage & golf cart garage with easy access from the circle driveway." "Heart of Melrose! PREMIUM AGRICULTURAL FARM GROUND now AVAILABLE! River irrigation rights, 2-Springs and Umpqua Water Basin. Endless possibilities here for use of the farm ground. Orchard, vegetables, vineyard, hazel nuts your choices are unlimited. Access road to fields from Melrose Rd. Views of the old Myrtle Wood Orchard and Valley, River Oasis from your back covered porch." "A rare opportunity! This has it ALL!! Spectacular views with great setting & privacy, soaring ceilings & skylights, open floor plan, granite counters, remodeled baths, theater room, gourmet kitchen with huge island, Oversized Master suite & walk in closet with remodeled bath, indoor pool room, sauna, spacious deck w/hot tub & fire pit, Separate Wine Cellar Room, barn + shop, 3 stalls, fenced area for horse or livestock, Covered RV Pkg,"
"Stunning custom home in premier gated community of Winchester Ridge. Exquisite finishes, gorgeous Brazilian cherry floors & vaulted ceilings. Chef's kitchen w/sub-zero fridge & built-in Miele espresso maker. Luxurious master w/spa-like aromatherapy bath & heated floors. Upper lvl fam rm, art studio w/skylights, & bonus rm. Spectacular grounds w/tidy landscape, multiple decks, patio, & incredible views. Peaceful, close-in country living." "This beautiful property is a true one of a kind on Fisher Road. This is perfect for entertaining with over 4000 square feet of living space with tennis/sports court and in-ground swimming pool and patio area. It has 5 acres of fenced in property with a 3500 square foot shop that is fully finished and temperature controlled."